What really drives the way your prospects and customers make decisions? While we may like to think of ourselves as rational, logical, data-driven people who make informed choices, there’s something else going on beneath the surface. Just think about the number of choices you have to make every day. What to eat. What to wear. Which side of the bed to get up from. And those are just the first of hundreds choices you’ll make today. Imagine how much brain power you’d need if you had to actively think your way through every single option. That’s why our brains have shortcuts that helps us decide fast. And these shortcuts – or cognitive biases – influence everything you do, from what car you drive and what you eat for breakfast, to what brands you buy from. But it’s not just cognitive biases swirling around in there, leading the charge. Our emotions (and emotional triggers) play a huge role in every choice we make. In fact… without emotions, we wouldn’t be able to make decisions. That’s what neuroscientist Antonio Damasio discovered when he studied decision making in patients who’d lost their ability to feel emotion – they couldn’t even make the most basic decisions. So if you want to help your prospects and customers make choices, you need to tap into what they’re feeling. This is where emotional triggers come in. Two triggers in particular can help you stop site visitors in the tracks and make them pay attention to what you’ve got to say. This article tackles those two triggers along with specific examples of how you can put them to work right away. 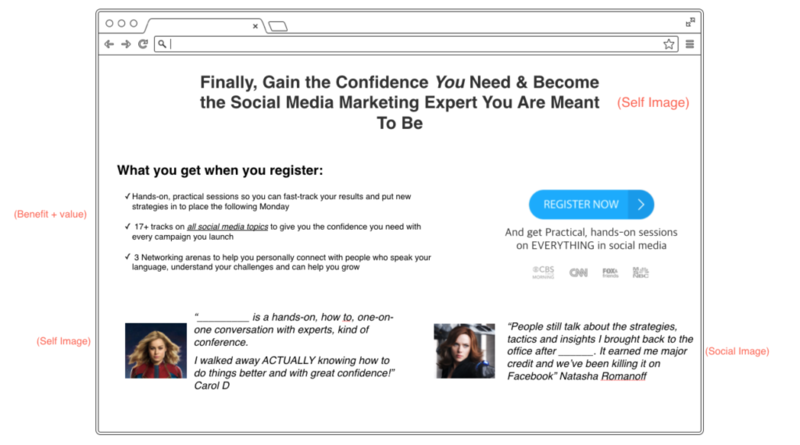 How to optimize your landing pages with two persuasion techniques. And it’s not just landing pages, this could be emails, and it could be any page on your website. What matters is understanding the concept of these two persuasion techniques and how to use them. Then you can literally use them in anything, even in your Facebook ads. Essentially the focus is on something called emotional targeting, which means on finding the emotions that drive customers the most. 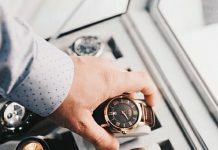 The persuasions, the cognitive biases and everything you can use to increase conversions and create a better experience for customers. When we are making decisions, when we’re trying to decide if we should buy something or not, when we’re thinking about the consequences of different purchases, when we’re thinking about, should we get something or not, we have many different emotions that are affecting our decisions. Many different emotions affect us. It’s never just one, it’s never just, “Oh I really want to feel loved,” or, “I just want to feel compassion,” or, “I just want to feel more attractive.” It’s always a couple of emotions working together. The focus of today’s article is on two of these. They are one of the common ones, and pretty universal. Two emotional triggers that actually work hand in hand, and rarely alone. Usually, it’s something that’s working together with them. The first emotional trigger is called social image. It is essentially how I want people to perceive me. Most people in the world are very affected and care a lot about what other people think about them. Essentially we really want people to like us, or we want people to think about us in a certain way. Many people want to feel appreciated, admired, envied or even looked up to. As a result, many of our purchasing decisions are influenced by what people think about us. For example, a parent might purchase many more presents and games and costumes for their child’s birthday party than they were ever planning to go about. They want other parents who come to their child’s birthday party to see how good of a parent they are. Someone may purchase an expensive car just to stand out and feel envied. This doesn’t mean that every single person in the world is influenced by their social image. It really isn’t a one rule tool for everyone, but even brands selling services have to consider this emotional trigger. Even if you are an agency that does PPC for different clients and different companies, you still have to consider social image as one of the emotional triggers that could be affecting your prospects decisions. If you are actually selling PPC services and that’s what you do as an agency, you have to think about the outcome that your prospect may want. They’re not buying from you because they want you to just run their ads. They might be buying from you because of the outcome they’re looking for. For example, a CMO might hire a PPC agency to make them look good in front of the board or their team. There’s a lot of different emotional triggers at play here, and it’s never just that one thing. It’s not “I just want to have more conversions”. Social image is a very strong emotional trigger. If you use it correctly on a page, it can do wonders to form a deeper connection with your prospects or your customers or clients. It can increase revenue. It goes hand in hand with social image. 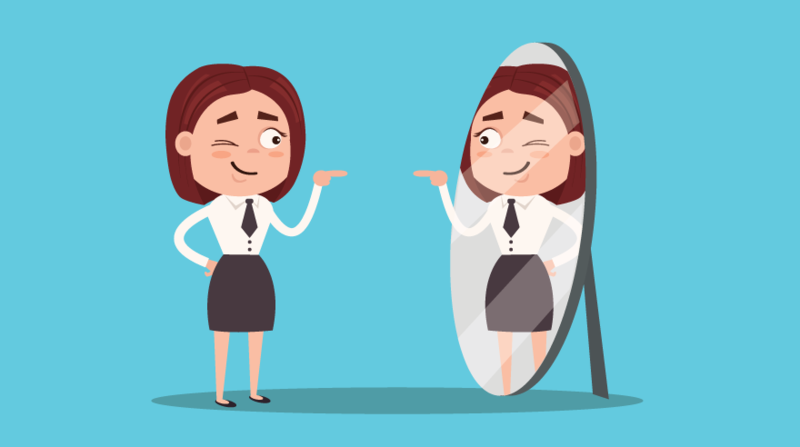 It’s how you feel about yourself and essentially it dictates many of the buying decisions. People buy gym memberships to feel good about themselves, to feel like they’re taking some sort of action, even if they never go. We buy books that we never read just so we can feel smarter and maybe also (here’s the social image of it) have them in the background, so it’s in our library. When people come over they think how smart we are, so it’s also making us feel smart. We hire business coaches to help push us forward to the next level. We purchase clothes because we want higher self-esteem. Self image and social image go hand in hand. 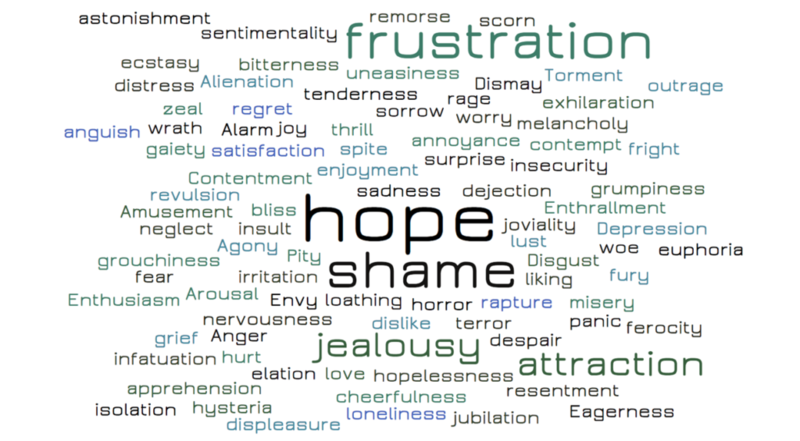 And these two emotional triggers can be used on landing pages. It’s usually the first thing that people see and read. You do not need to invent the wheel here. There are writing formulas to help you with that. A nutritionist would say, “Finally, have a routine and the lifestyle you can be proud of.” This is a headline formula that really plays on that self image trigger of making people, of showing people the outcome. That outcome is that you will feel better about yourself. You will be proud of the routine, and the lifestyle that you need. An online parenting program can say, “Become the parent you’ve always wanted to be, one you can be proud of.” This is one of the emotional triggers that really influences people’s decisions. Parents not only want to be better parents for their kids, they also want to feel really good about themselves. 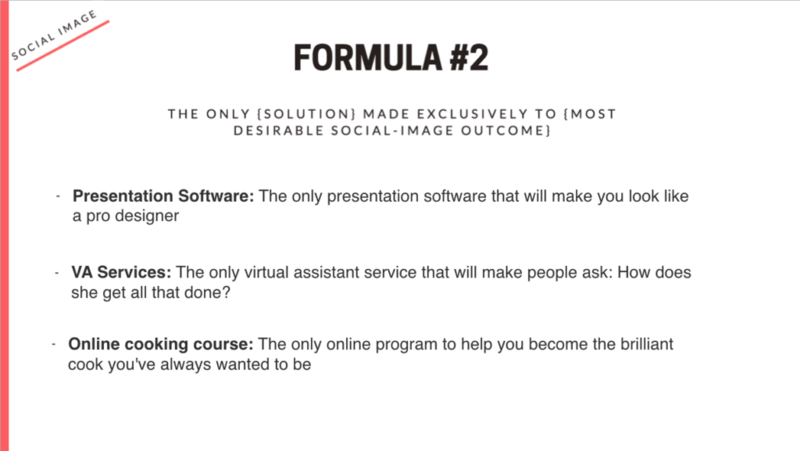 This is a formula that talks about the end feeling that you get when you use one of these products, when you buy one of these services, when you hire this type of person. It’s all about that desirable thing. This formula is for social image. Again, it will make people see the outcome. The outcome would be how other people will perceive you. The only [solution] made exclusively to [the most desirable social image outcome]. What that means is that you (the service that you’re offering), made exclusively to whatever the most desirable social image outcome is. The vast majority of people that use these presentation software are marketers with no designing skills. The end result that they’re getting is that it will make you look like a pro designer. 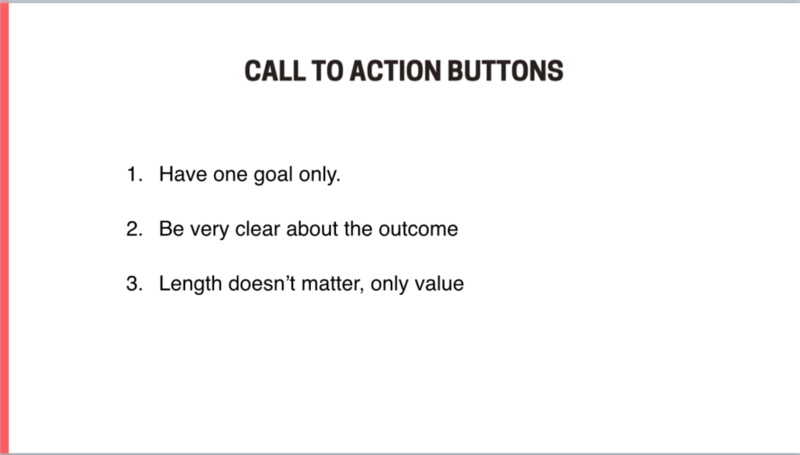 The call to action button is an extremely important element on your page. Similar to headlines there are countless call to action button formulas. This one is the most direct and easy one to use, and it’s also a great way to introduce the emotional triggers. You’re saying what action a person is going to take and what the value is from taking this action. “Enroll now” is the button, but there’s also supportive text underneath. 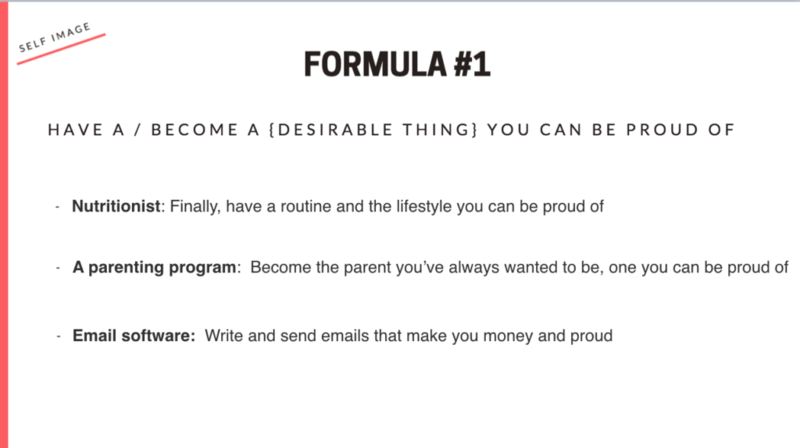 An example of a landing page using the formulas and the two emotional triggers described above. 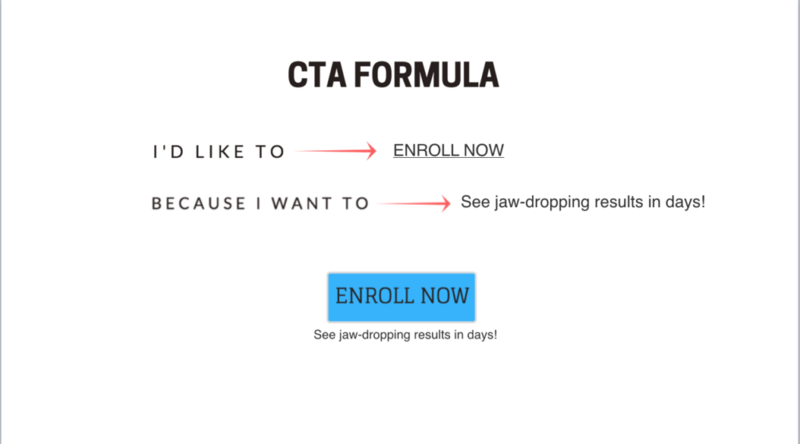 These are just a few emotional psychological triggers that you can add to your landing pages. The point here is to remember that people don’t buy features, pricing or bullet points. They buy the end result, the outcome. You buy better versions of yourselves. You don’t need to redesign everything from scratch. You can start with changing one element at a time. Swapping generic elements with emotionally-infused ones. PS. If you only scrolled to see a post scriptum, let’s make sure that you don’t miss the most important message: you don’t buy features, or more of X, or faster Y, or cheaper Z. You buy a better version of yourself. Wherever possible, show that better version of the buyer instead of focusing on what the product or service can do in terms of features.